Whenever you book a trip, one of the most important decisions to make is where to stay. Even if you're hoping to spend your time out and about, a good night's sleep is essential. You don't want to be kept awake by partying downstairs, next door or outside. And you certainly don't want to spend your time in Barcelona staying in a dirty or unsafe room. Whether you go for cheap and cheerful, or you're looking for the ultimate luxury, choosing the right hotel could make or break your vacation. Try using the tips below to pick the right place for you and have an enjoyable time in Barcelona. The first thing you should decide is how much money you want to spend on your hotel. If money is no object, you can look at four and five-star hotels that have everything you could need. But if you need to watch your wallet, it's better to set yourself a budget. There are different levels of accommodation you could choose from, from hostels or pensions to budget and luxury hotels. If you want to stick to somewhere in the middle, look at three-star hotels. You need to think about what you're looking for in a hotel. 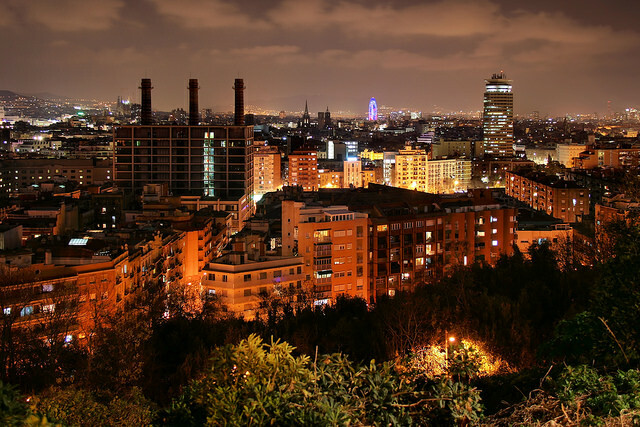 Barcelona has a lot to offer in terms of accommodation, so narrowing down your wishes will help. Perhaps you have to have a pool, or you want somewhere with a bar. Are you looking for a hotel in a certain location or one with a gym? Remember that the price will be influenced by the location and facilities. So don't expect to find everything you could ever need at a budget hotel. The easiest way to find a Barcelona hotel that's perfect for you is to use booking sites. Visit Venere or a similar site and browse through the many hotels available. You'll be able to look at photos and read information about each hotel. Then you can book your stay without having to leave the site. Most sites also have ratings and reviews too, so you can see what other guests thought. Having a look at a hotel's photos is always a good idea. If you love photography, it's an even better idea. You could find a hotel that's perfect for taking a few shots. If you can, try to find photos taken by guests too. Doing so will give you a more accurate picture of the state of the hotel, and not just a carefully-controlled professional image. It may seem obvious, but reading hotel reviews is essential. You don't want to check into an awful establishment, only to find it could have been avoided if you had read the reviews. However, they're less important for more expensive hotels. And if you want to stay closer to the center of Barcelona, you probably won't find anywhere horrible. There are lots of hotels to choose from in Barcelona, and some of them are beautiful buildings. Just take your time choosing one to make sure you don't get duped.